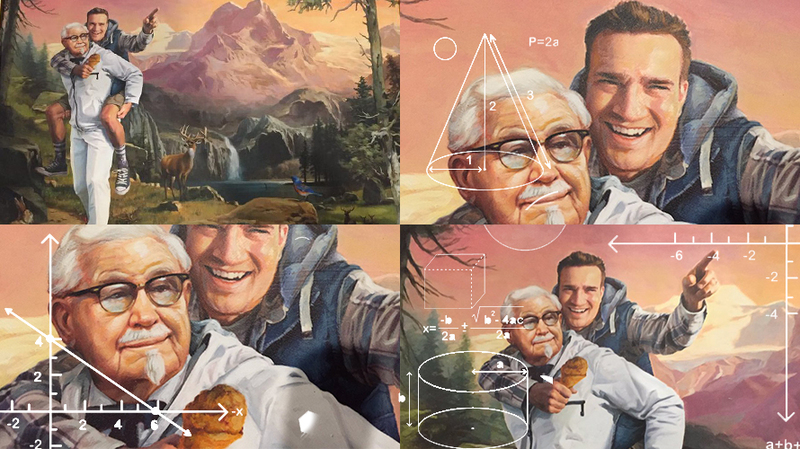 Earlier this week Mike Edgette, social media manager for TallGrass Public Relations in Sioux Falls, S.D., shared his reward from KFC for spotting its clever Twitter stunt: A painting of himself with Colonel Sanders. A Reddit thread on Wednesday questioned whether Edgette was in on the ad. So we caught up with Edgette to find out what his relationship with KFC is like, whether the PR shop he works for is somehow connected to KFC and a bit more about that painting. Adweek: Did you see there’s a conspiracy theory on Reddit that you work for KFC? Edgette: Yep, oh, I’ve seen that. So, do you work for KFC? [Laughs] No, we don’t. TallGrass PR, we’re out of Sioux Falls, S.D. Nope. I understand because I work for a PR agency and I’m in social media that people might think that, but no, we don’t. People think you guys work for Yum! Brands. Do you? Nope. We’re not that big of a company. If they want to, I’m sure TallGrass would love to have them as a client. But, nope, we don’t. Can we back up and talk about you finding the tweet? Sure. I’m a social media manager. We spend a lot of time on social media. We just kind of look at trends online and look at other companies to see what they’re doing on social media. KFC came up as a suggested follow for me so I looked at them. One of the things we look at as social media people is the following to follower ratio. That’s what we look at when we’re auditing accounts. So I tweeted that. I had like 90 followers so I was expecting a couple of retweets from my friends but it kind of turned into more than that. I don’t know how it got to that point because like I said I had 90 followers. The next day KFC tweeted me and said DM me your info. I did that and they said, “Give me your address and we’ll send you a package with some cool stuff.” So I did that and then a week goes by and I don’t hear anything so I message them again and said, “Hey, are you sending something?” They said, “Yep, we’re working on it. It’ll be soon.” Another week went by and I didn’t hear anything and then on Friday they messaged me to say that I’d have a package showing up at my house the next day. It got there in the morning [on Saturday] and it was this giant package. That was unexpected. It was the big ol’ painting. They didn’t ask you for an image of yourself or anything like that? No. Yeah. I don’t know. That’s the weird part. I was trying to figure that out too. 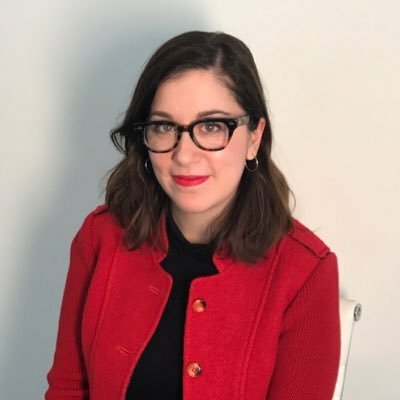 Did they take my profile picture off of Twitter, Facebook or LinkedIn or something? But it’s not. So I don’t know. I think someone just kind of drew it. I’m sure it’s based off of a picture but I’m not sure which one because I didn’t send it to them.